Priyanka Gandhi Vadra shared a media report on Twitter that claimed the dues of sugarcane farmers had crossed Rs 10,000 crore in the state. Congress general secretary Priyanka Gandhi Vadra today blamed the Uttar Pradesh government over unpaid dues of sugarcane farmers and alleged that "chowkidars" (security guards) are only working for the rich, not for the poor. 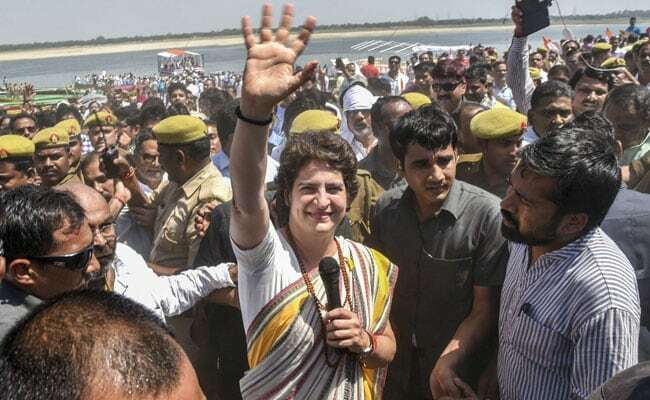 "The families of sugarcane farmers toil day and night but the Uttar Pradesh government does not even take the responsibility of paying their dues," Priyanka Gandhi said. After Priyanka Gandhi Vadra launched a blistering attack on the UP government over alleged unpaid dues to the tune of Rs 10,000 crore to sugarcane farmers. Uttar Pradesh Chief Minister Yogi Adityanath on Sunday questioned the Congress where were the well-wishers of farmers during 2012-17 when they faced starvation. "When our government was formed, the pending cane dues were around Rs 57,800 crore. The amount was bigger than the budgets of many states. But we paid it," said Yogi Adityanath. The UP chief minister struck back to ask, "Where were the so-called well-wishers of the farmers from 2012 to 2017, when the farmers were on the brink of starvation. Why have they woken up from their slumber now?"